Law firms, legal departments and/or attorneys realize the importance of organized case documents or legal files. Taking on lawsuits is an exhausting job – even the way you portray yourself to your clients often provides them an idea of how you work as a specialist. With the volume of paperwork to be taken care of and the documents you will need to present your client, it is favorable to outsource Litigation Support Services, which will assist in systematizing your files and undertaking the tasks conveniently. We at LSW offer world-class litigation services for personal injury lawyers and take care of drafting of complaints, motions and all the intermediate steps of litigation, i.e. drafting of Answers, Interrogatories. 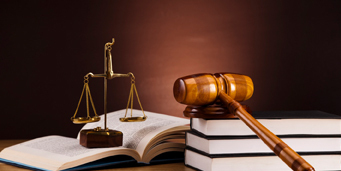 Our team consists of skilled and competent legal personnel. We consolidate the latest technology,years of legal expertise and effective internal processes to render economical and top-quality legal work usually within exceptionally short delivery times. Our solid legal experience and exposure facilitates us to integrate the latest advancements in the industry whether in process or technology. We have efficiently carried out large-scale and complicated document reviews and have reviewed a multitude of pages catering to an array of industries, such as, the F&A, healthcare, insurance, hospitality, technology, telecommunications, real estate, manufacturing and many more. Legal coding and indexing process includes cataloging legal documents so they can easily be retrieved,prioritized, arranged or reviewed. First-rate coding protocols are developed on a framework of effectual design, standard conventions, remarkably skilled coders, apt technology and numerous levels of quality control. We provide assistance by arranging data in such a way so it renders more meaning to you. This is done by creating a database followed by coding and indexing of the records. We handle project-specific document coding in accordance with the personalized specifications. The projects are handled by the employees that have been trained in legal coding and who are exceptionally qualified in the area of study,well-acquainted with legal jargon and documentation. Legal Support World has an exclusive team of attorneys to proofread all the painstaking documents meticulously. Our team of attorneys are experts in the document review process. Based on the client’s specification, our team reviews the documents subjectively for citation,typing errors, grammatical mistakes etc. All the documents reviewed go through a quality check to ascertain the highest possible accuracy. LSW can steer your business through the complete process of E-Discovery. We offer a distinct blend of know-how, service and technology to assist you with all your electronically stored information (ESI) and E Discovery requirements. Our service-focused work culture sets forth with experienced professionals and project managers, in addition to “behind-the-scenes” experts who are able to help you with each and every facet of your case. LSW provides the resources and people you require to access, manage and visualize all case-related information meticulously. Our team can assist you at the beginning of the E-Discovery process with respect to early case assessment, custodian interviews, commercial data mapping, and also any kind of intricate data collection demands. LSW assists you in organizing and preparing for litigation, minimizing your review time and making sure that the critical elements of depositions acquire proper consideration. When you take advantage of our deposition summary services, attorneys at LSW,review, assess and summarize depositions to develop deposition digests. We render to-the-point and precise summaries of deposition transcripts, which includes long multi-day sessions. We additionally examine records to build a chronology of events. Event chronologies allow the attorneys on the case to instantly identify crucial events and chains, which may substantially influence the result of a case. LSW’s Medical Record Review Services offer valuable tools to improve our customer’s capacity to influence the outcome of their workers’ compensation, personal injury,automobile liability, short-term and long-term disability cases. Our exclusively skilled and qualified team examines medical reports, creates timelines as well as presents comprehensive guidelines to help our customers with the crucial decisions essential to move a case forward.